Historic England have issued a whole raft of new and updated advice and guidance documents on their website. Click here to go to the Latest Advice and Guidance page which now also includes an A to Z list of advice pdfs and a list of recently archived advice. Examples of guidance documents include five reissued archaeological science guidance documents and some short instructional video clips. The basic aims of the guidance remain the same: that is to help archaeologists, researchers and those who manage the historic environment to decide first, whether using lidar data will actually be beneficial in terms of their research aims, and second, how the data can be used effectively. The update reflects advances in the technique since the guidance was initially published in 2010, including increasing access to the relevant data and the wide range of visualisation techniques now available. The case studies illustrating the use of Lidar have also been refreshed, now with some examples from outside of Historic England. Archaeological Standards and Guidance – What are they for and who sets them? A new vision for 2017 and beyond? Is the Southport vision is still relevant? Can we construct a new vision for 2017 and beyond? What outcomes do we want to achieve and what should standards therefore contain? Roles and responsibilities – who sets standards? Many organisations are involved in producing standards and guidance; do we yet have a common understanding about roles and responsibilities or are we all competing with each other? Who should lead on what? New thinking on methodology and standards – how do we capitalise on the lessons of synthesis projects, and translate them into professional practice? How much should we be prescribing methods as opposed to seeking outcomes? Should improving standards make our work more cost-effective or will they add cost? 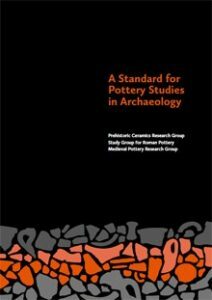 Published in June 2016, this guidance document was compiled by the three period-specific pottery study groups (PCRG, SGRP, MPRG) with the aim of creating the first, comprehensive, inclusive standard for working with pottery. The Standard is intended for use in all types of archaeological project, including those run by community groups, professional contractors and research institutions. This standard has been published by the Medieval Pottery Research Group on behalf of the Prehistoric Ceramics Research Group, the Study Group for Roman Pottery and the Medieval Pottery Research Group. The text was written by Alistair Barclay and David Knight (PCRG); Paul Booth and Jane Evans (SGRP); Duncan H. Brown and Imogen Wood (MPRG). Development and production of this standard was funded by grant-aid from Historic England. The National Standard and Guidance to Best Practice for Collecting and Depositing Archaeological Archives in Wales comprises a suite of documents which aim to make archaeological data, information and knowledge available, stable, consistent and accessible for present and future generations. The Standard for Archaeological Archiving in Wales consists of a set of high-level principles. It represents the standard for archaeological archiving that must be met by an archaeologist or organisation undertaking any form of archaeological work that results in an archive. Guidance documents are available as a ‘zip’ file here. This document has been prepared by the National Panel for Archaeological Archives in Wales and is drawn from A Standard and Guide to Best Practice for Archaeological Archiving in Europe. The National Panel has tailored this document to meet the specific needs of Wales and to offer guidance that supports the Historic Environment (Wales) Act 2016. 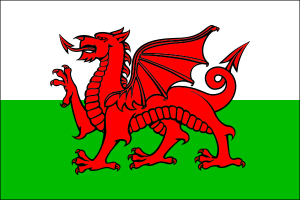 The National Panel for Archaeological Archives in Wales is an advisory body established by the Historic Environment Group with a remit to promote the care of and encourage access to the archaeological archives of Wales. Membership is free. All you need to do to join FISH is to subscribe to the FISH mailing list on JISCMail. This enables you to join our discussion forums and e-conferences, and participate in the development of heritage standards and documentation tools either actively or as an observer. The Secretary of State for Culture Media & Sport has launched the Government’s UK Digital Strategy. The Strategy commits to ‘undertake a major enhancement and rationalisation of heritage records nationally and locally’ as well as considering how the planning system can be made both more efficient and give the public greater involvement through better use of data and digital tools. We have now updated the FISH Thesauri (version 20). Click here to view the latest versions. Candidate terms (terminology suggestions) are submitted to FISH all year round. Terms are processed and usually added to the FISH thesauri and authority files as and when they come in. Once a year the main thesauri are updated and uploaded to this website, where you can browse for a specific term, and Heritage Data, a related website, where you can download key thesauri as CSV, PDF and LOD formats. Please get in touch if you have any questions regarding the FISH thesauri or candidate terms. In 2010 the US National Park Service (NPS) approved cultural resource spatial data transfer standards to help document the lineage of their cultural resource spatial data, used in geographic information system (GIS) applications throughout the NPS and for the public. The standards also help integrate the numerous cultural resource databases maintained by the NPS for cultural resource management. In 2014 the Cultural Resource GIS Facility (CRGIS) implemented these standards with the Cultural Landscapes Inventory and List of Classified Structures databases. Working with NPS regional GIS coordinators as well as regional cultural resource managers, the project automates legacy data contained within these databases, creating enhanced GIS data and forming a base for an authoritative NPS-wide cultural resource data set. The purpose of these spatial data transfer standards is to facilitate updating, transforming and integrating digital experiences within the US National Park Service to enhance public understanding as well as internal NPS resource management.